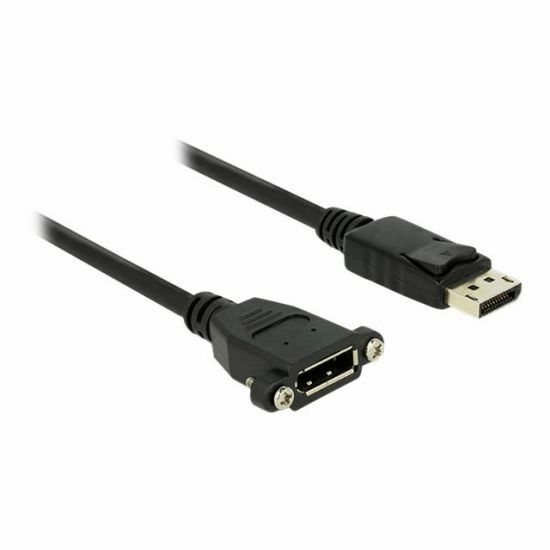 This cable enables you to extend a DisplayPort connection and can be used to connect various devices. The female port can be attached with two screws, e.g. to a slot bracket, a cable duct or an enclosure with the corresponding opening. 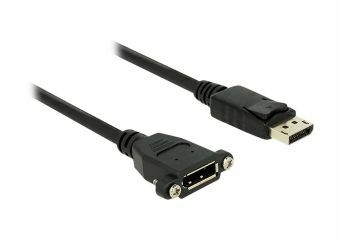 This can be used to install an DisplayPort connector at an easily accessible position.